We open this edition of OverHolland with the very sad news that one of the journal’s editors, Henk Hoeks, died on 29 January 2017. Born on 14 March 1947, Henk was one of the founders of the publishing house SUN (Socialistische Uitgeverij Nijmegen, ‘Nijmegen Socialist Publishers’), where he worked as an editor from 1970 to 2008. From the outset, as he himself said, SUN rested on two main pillars: philosophy and history, to which architecture was added as a third pillar in the course of the 1970s. The new focus on architecture was boosted by SUN’s long-established links with rebellious students at Delft University of Technology’s faculty of architecture. Under Henk Hoeks’s editorship, based on his contacts and friendships from that time, a magnificent series of books on architecture was published; after SUN Architecture was wound up in 2011, he arranged for these to be published henceforth by Vantilt. Henk Hoeks was widely praised for his carefully crafted publications and his remarkable ability to bring out writers’ talents – with particular success in the field of architecture. From 1990 to 2003 he ran the Dutch architectural journal OASE (issues 28-61), founded by architecture students at Delft. It was a breeding ground for young talent. Since 2004 part of this role has been taken over by the OverHolland, architectonische studies voor de Hollandse stad (‘About Holland: architectural studies on Holland’s towns and cities’) series. Manfredo Tafuri’s commentary on them in Architecture and utopia: ‘He experienced the illustrations, and the author’s explanatory text, as a shock and a liberation. Gian Battista Piranesi’s altar taught him a lesson he was very keen to learn, and would never forget. It told him about the double face of culture: a sensual, colourful, multifaceted, elegant front side that conceals a bare rear side made up of purely abstract geometric forms, with the naked globe as its most striking feature. There is no basis here in nature or spon-taneity, for anyone that looks closely will discover that the complex structure of the front is made up of features from long-vanished cultures, such as the three stacked-up sarcophagi. Culture is an interplay with historical fragments, a set of which we appropriate and, in so doing, turn into an amalgam of heterogeneous elements. We live in a culture of “constructors”; the abundance of images and the sensual wealth conceal a fundamental “poverty”, that of the calculating intellect. The last word is with the mute globe, emptiness and silence. And yet St Basil, in mid-flight to heaven, is lit from above – a symbol of telos, salvation?’ Despite his radical views, Henk Hoeks never entirely abandoned comforting ideas – saving him, and us, from much chagrin and fanaticism. More cheering news is that the previous issues of OverHolland are now available online at http:// journals.library.tudelft.nl/index.php/overholland and can be consulted with the help of an index. OverHolland 18/19 has now added a new search term. The theme of this issue is ‘the university and the city’. 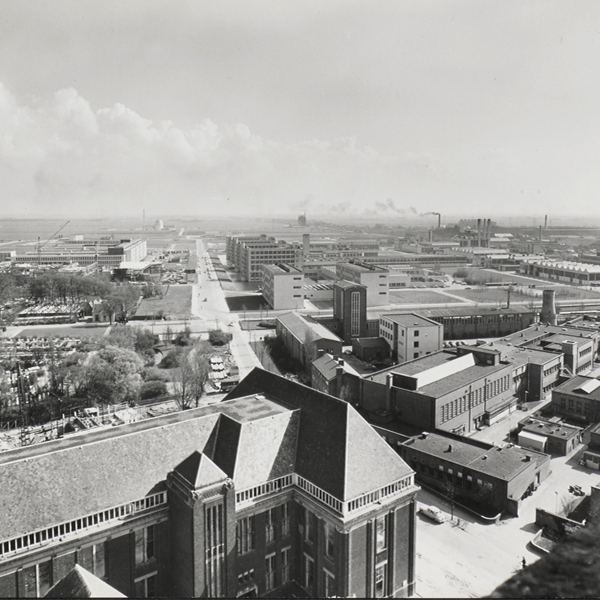 A number of articles look closely at the foundation and development of the Delft and Eindhoven Universities of Technology. The comparison between the two mainly focuses on how these urban institutions influenced the two cities’ spatial development. Particular attention is paid to a far-reaching change in the historical development of university buildings: the introduction of laboratories for purposes of research. The change in the university/city relationship that took place because of the increased size of the buildings and the greater resulting inconvenience is clearly visible in the development of both institutions. 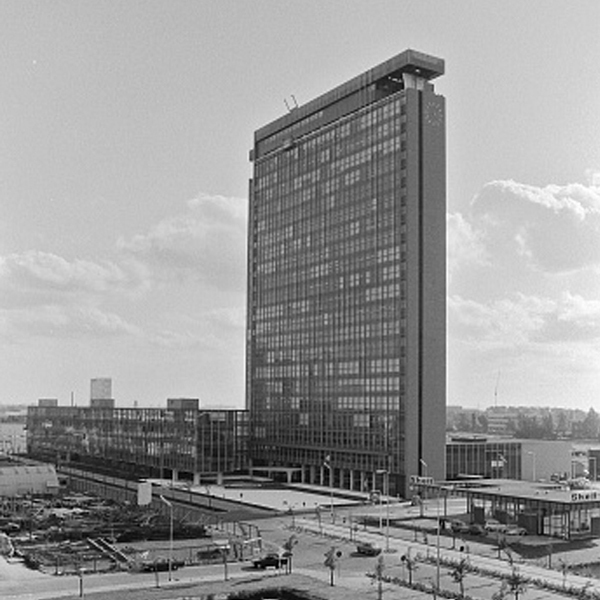 Delft and Eindhoven were the first two post-war Dutch universities to introduce the ‘campus’ model: the university as a separate district of the city. The degree of the university’s spatial independence has been a recurring theme in the debate about its accommodation. The separate identity of the university has continued to clash with the need to integrate it into the city so that it can continue to function as an urban institution. bergen and Bernard Colenbrander. The project was funded by the two universities’ housing and property departments. 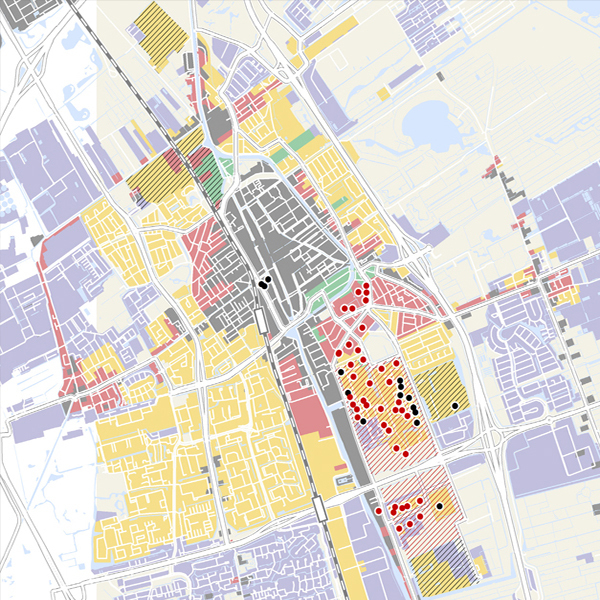 The core of the research is the cartographical section, which uses techniques developed earlier in Delft’s research into the spatial development of towns and cities in the Randstad conurbation, discussed in previous issues of OverHolland. The spatial development of the two cities and the accommodation of the two universities and associated institutions is mapped out in successive stages. What is new is the way in which changes in the spatial pattern of the two campuses is documented in detailed ground plans and cross-sections. This mainly concerns the arrangement of the unbuilt ground level in relation to the plinths of the buildings. At the same time, typological study of the buildings on both campuses makes clear how the distribution and nature of indoor spaces are related to the purpose and arrangement of the surrounding outdoor spaces. The conversion of this kind of analysis into ‘rules for rebuilding’ that can serve as guidelines to the transformation of the campus is the particular expertise of Bauhütte, the ‘design-based research group’ supervised by Christian Rapp. The group was set up to produce a master plan for the further transformation of the Eindhoven campus and its supervision. 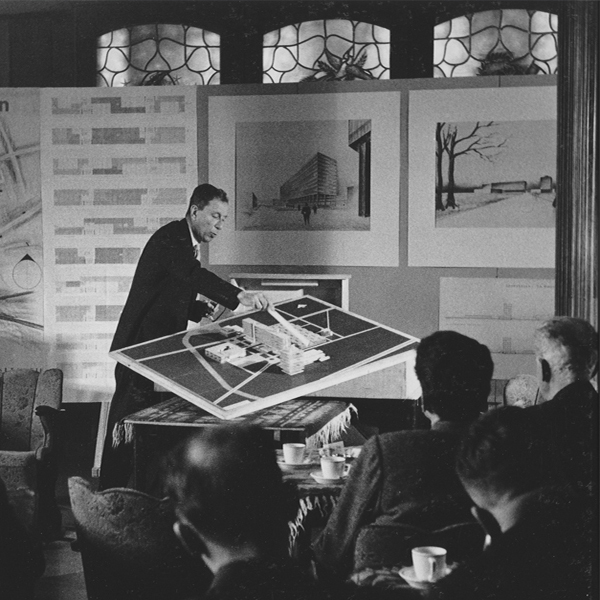 The plan shows how the need for new kinds of university buildings can be combined with a campus that is now part of the architectural heritage. 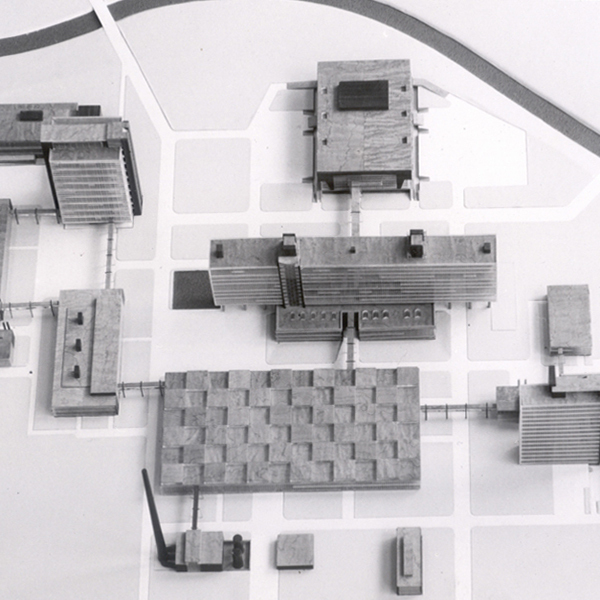 Bauhütte also drew up the master plan for the transformation of the Tilburg University campus. As part of this, KAAN Architecten has designed a new Teaching and Self-Study Centre, which is now under construction. Details are provided in the article by Kees Kaan. Finally, the Polemics section of OverHolland commemorates the fact that Aldo Rossi’s book The architecture of the city was published fifty years ago. To mark the occasion, Ezio Bonfanti’s October 1970 article Elementi e costruzione: note sull’architettura di Aldo Rossi from the journal Controspazio – the first architectural-theory analysis of Aldo Rossi’s designs – is published here for the first time in Dutch and English translations, together with Rossi’s notes and the letter he wrote to Bonfanti about them, as well as Bonfanti’s reply. An introduction to these unique documents is provided by Stefano Milani. In October 1970 the Dutch journal Plan published a thematic issue on university education and the construction of universities in the Netherlands. The editorial, entitled ‘Ideology or pragmatism’, outlined the dilemmas facing politicians and designers. Major investment was needed to cope with the growing numbers of students, but there was no clear picture of how education and research should develop. Could the existing universities continue to grow, or should new ones be founded? Should existing universities expand outside cities, or remain in small clusters within them? What was the ideal size of a university? Where should new universities be developed, and what about introducing the Anglo-American campus model? Was the idea of universitas, the supposed unity of arts and science, still relevant? Would university buildings even be needed if lectures could be broadcast on television screens? To allow systematic comparison of the construction and transformation of the Delft and Eindhoven University of Technology campuses, maps and profiles have been drawn. Below we describe the method used to draw them and indicate which sources were used. The maps are based on what we call the chronological development map of the Randstad conurbation. This is a digital GIS map file, a kind of ‘parent file’ developed as part of the ‘Mapping the Randstad’ research project. The map, various versions of which have been published in OverHolland, shows the spatial development of Holland’s towns and cities with reference to ‘morphological periods’: the periods up to 1850, from 1850 to 1910, from 1910 to 1940, from 1940 to 1970 and from 1970 to 2000. Delft University of Technology has a large, varied set of buildings in all kinds of forms and styles, distributed over an extensive campus. The buildings at Eindhoven University of Technology are typologically and architecturally homogeneous, and located closer together. The Eindhoven university was founded in the 1960s; the Delft university has a longer history, and hence an older stock of buildings. So what exactly are the differences and similarities between the Delft and Eindhoven buildings? Is there a typical ‘Delft’ and a typical ‘Eindhoven’ type of building? To what extent has the university of technology programme changed over the years, and do the old buildings differ from the new ones? And what issues arise when existing university buildings have to be reassigned to new purposes? These questions will be examined in the light of three comparative case studies on the basis of analytical drawings. The definition of a campus has traditionally been very simple. A campus is the site where a university is located, and where the faculties that form the functional core of academic study have their buildings. It may also include appropriate accommodation such as sports facilities and housing for students and teachers. The phenomenon originated in the United States, where a need arose for coherently organized university environments inspired by the older British colleges, such as in Oxford and Cambridge. Unlike these predecessors, however, the university complexes in the United States tended to be located separately in the suburbanizing landscape, rather than integrated into built-up urban areas. In the coming years the Tilburg University campus will undergo an extensive spatial transformation. The university plans to demolish some obsolete buildings and build three new ones. The first step is the construction of a Teaching and Self-Study Centre (OZC), which is currently in progress. Its development began in late 2014 with a call for design, building and maintenance tenders; the contract was awarded to a consortium consisting of KAAN Architecten and the building and property developer VORM. At the same time the university commissioned Bauhütte, the design-oriented research group at Eindhoven University of Technology’s faculty of architecture (an explanation of the name ‘Bauhütte’ is provided later in this article), to draw up a master plan with design guidelines for future architectural and landscape interventions on the campus. ‘KAAN Architecten and the building firm VORM are together creating a large new building on the Tilburg University campus. With 11,000 square metres of floor area, the university’s Teaching and Self-Study Centre (OZC) is intended to offer students better facilities and hence further improve the quality of education. The building will have BREEAM (Building Research Establishment Environmental Assessment Method) ‘Excellent’ certification, the maximum achievable level of sustainability. Completion is scheduled for autumn 2017. 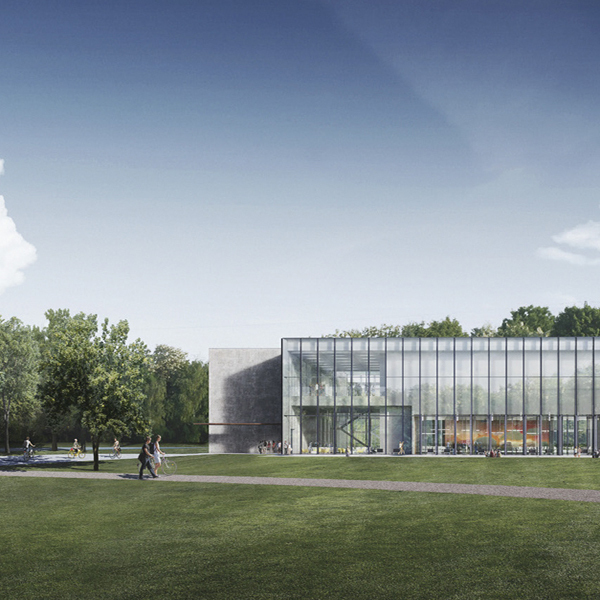 The KAAN Architecten design shows an OZC that is square and fairly low, like various other buildings on the campus. This means it will fit in well among the trees and the other buildings. Yet it is substantially different from the square central Cobbenhagen building, the former Catholic College of Economics that formed the basis for the university back in the early 1960s. Whereas with its two courtyards the enclosed structure by architect Jos. 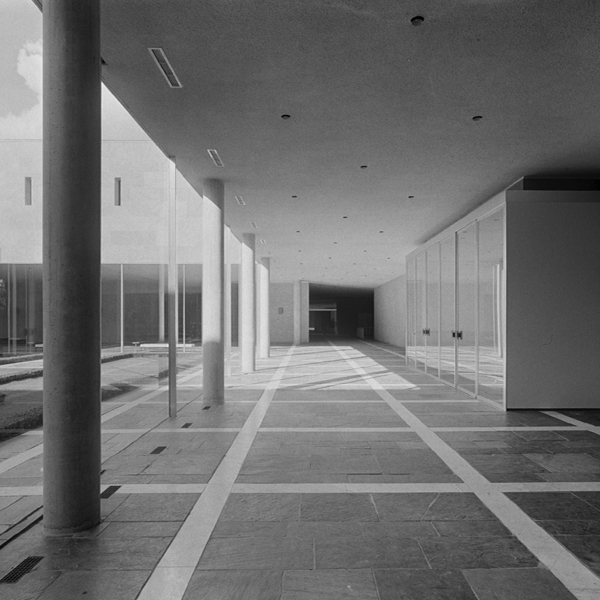 Bedaux (1910-1989) brought the landscape inside the building, KAAN Architecten’s centre will blend into it. Abundant daylight and radical perspectives will allow the building and its surroundings to merge. The study areas will be enclosed in the same way as a woodland clearing. This article examines the urban-planning design and elaboration of the Delft and Eindhoven University of Technology complexes. What were the underlying ideas, views and designs for the two complexes, how and to what extent were they put into practice, and how have the complexes developed over time? How did, and does, the surrounding urban landscape influence the form of the campus, and how is the campus linked to the city? This comparative analysis focuses on the campus as an interplay of buildings and open space, emphasising the character of the spatial whole and the changes that have taken place within it. 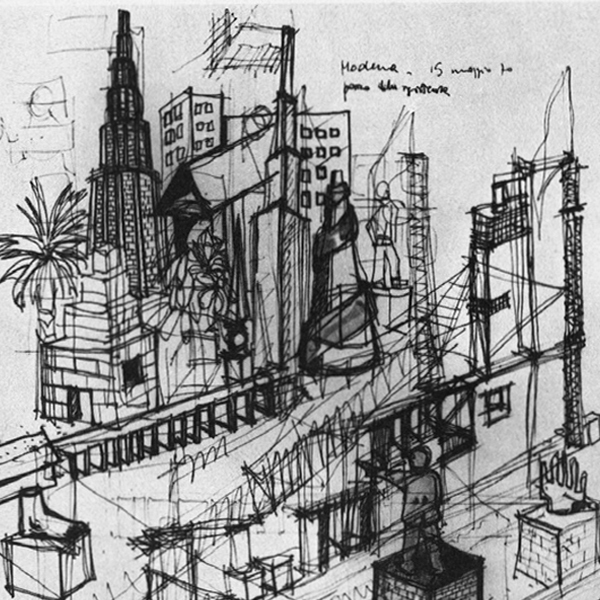 Ezio Bonfanti’s essay Elementi e costruzione: note sull’architettura di Aldo Rossi (1970) can be regarded as one of the most advanced critiques of Rossi’s work. He examines Rossi’s projects, their inherent analytical characteristics, the relationship with a theory based on the possibilities for describing a project and (more specifically) describing it through an analysis that has to be conducted at the level of the composition. Bonfanti’s contribution can equally be regarded as a broader reflection on fundamental aspects of the discipline, for which he believes Rossi’s work is particularly suited. 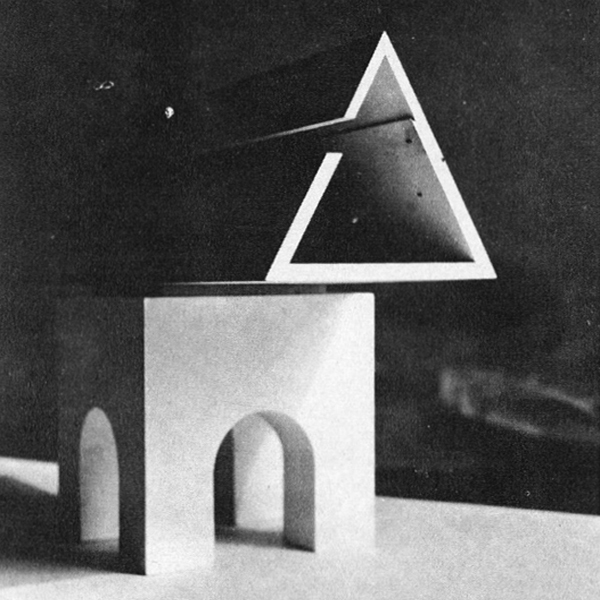 The two paths thus defined – one studying Rossi’s architecture and the other proposing a scheme for an analytical approach to architecture – therefore mean that the purpose and the subject of the investigation nearly overlap, albeit not to the point of a mise en abyme. The various kinds of trivialisation or abdication that currently typify architecture in Italy have led, among other things, to a rebellious taste for a kind of rigorist, robust, exclusive underground represented by a small number of individuals to whom definitive roles, acts and thoughts that remain aloof to the upheaval and blindness of the times are prematurely being ascribed. Such categorisation is overriding the true interests, the genuine, constructive motivations that to a certain extent determine intellectual trends and alliances, and the real qualities of personalities whose complexity and subtlety re-emerge when they are no longer viewed so rigidly. Of course, it would be wrong to deny that many features of Aldo Rossi’s work encourage people to define it in such rigid terms: for example, to deny his calling and his interest in creating a legacy and handing down a tradition of study, or to deny the solemnity in the content and traits of his theoretical and architectural work, which hence cannot unfairly be defined as ‘classicist’ – but subject to reservations that we will see below. 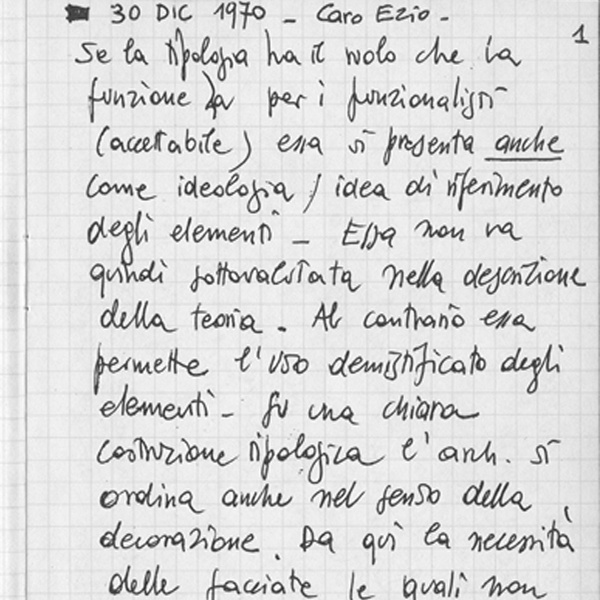 Notes and correspondence from Aldo Rossi and Ezio Bonfanti dated 30 December 1970, 2 and 3 January 1971.